The rapid and ongoing growth in information technology has created many applications for health and wellbeing, including breastfeeding. However, due to a lack of rigorous evaluation of these applications, midwives and other health professionals are unable to recommend any specific breastfeeding application in supporting women towards long-term breastfeeding as a global challenge. Only half of women in developed countries continue any form of breastfeeding for six months. The aim of this study was to evaluate the existing breastfeeding applications based on the Persuasive System Design model. An online search was conducted of the Apple Store in May 2017. The search strategy included the following keywords: breastfeeding, lactation and breast milk. After being checked against the inclusion criteria, each application was assessed based on the four Persuasive System Design Principles. Data from each application was then compared for each element of the design model. Eleven applications met the inclusion criteria and were included in the review. Primary task support and system credibility support principles were addressed at acceptable level in all of the included apps. However, dialogue support and social support principles and their features like praise, reward and social networking were not identified in many of the applications. 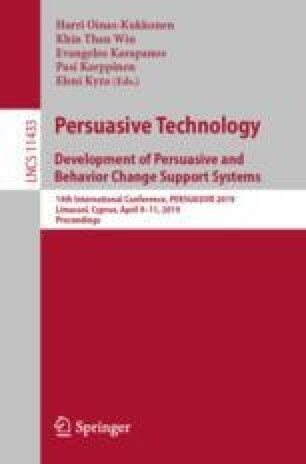 This review demonstrates the lack of dialogue support and social support principles that could augment human to computer dialogue. There is a need for designing a breastfeeding app that can persuade women to engage and continue breastfeeding based on a full Persuasive System Design model, thus promoting long term breastfeeding.